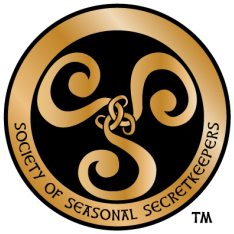 What do others have to say about The Society of Seasonal Secretkeepers? January 2015 Toy of the Month! "Something a bit different, a bit special, a little unique and something all parents need at one point in their children’s lives…." "The Field Guide is a wonderful, thoughtful and beautifully written tool for you and your child to read together... The biggest lesson we all learn is that magic lies in our hearts, and we all can create magic for each other." "...truths are presented in the best way possible with an emphasis on magic as symbols of love and giving, and a sense of earned responsibility with growing up. Do your family a favor and order it before you’ll need it. You’ll thank us later." "Now I do not have to worry about my daughter hearing from others that it is not real, as she now knows that the true magic is the magic that she is keeping by being a member of this society! ... She finally felt at peace with the issue and is now excited to be an agent to help keep the secrets and magic alive for others. ... It fits in with whatever your family traditions and beliefs are. ​... A wonderful book/experience that is not only for Christmas, it is a year round adventure. "It’s the unspoken elephant in every room every holiday season. It passes through adults and older siblings via furtive whispers and knowing looks. The secret of Santa Claus must be guarded at all costs." "Keep your family traditions alive and give your kids a new sense of purpose by giving them the kit when they ask that dreaded question!" "Children are excited to enter a new chapter in their lives and it encourages them not to ruin the magic for others who still believe. This is great for children with younger siblings or with classmates who still believe." "We know that it will help explain to him the magic that is created and the reason he should keep the secrets." "This is such a wonderful kit for children, especially those who have younger siblings. The field guide is a fun way for older children to help carry on the tradition while engaging them in a cool secret society. "